Las Vegas Chinatown is booming! A valley neighborhood is expanding beyond what it's known for. Chinatown is quickly becoming more than just great Chinese cuisine. "A few years ago, this area was filled with industrial warehouses, industrial spaces pretty much. 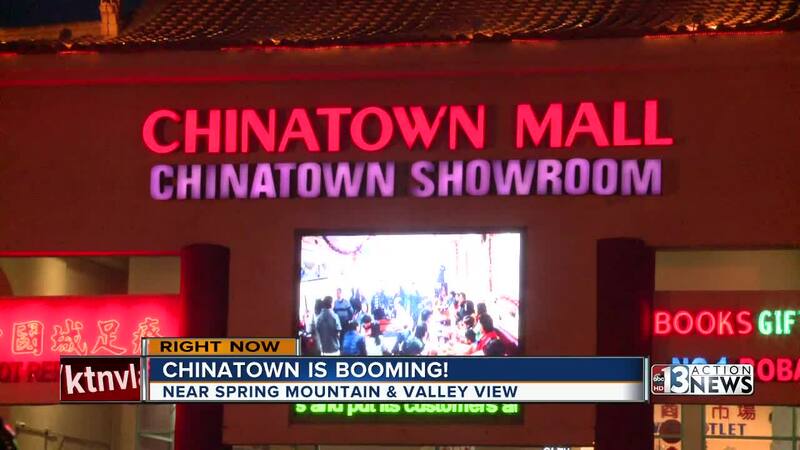 Now it's one of the hottest properties in Las Vegas and a lot of it has to do with Chinatown which is really great," said Las Vegas Asian Chamber of Commerce President Sonny Vinuya. "Las Vegas's Chinatown is unique in that we are more of an 'Asiantown'... Las Vegas's Chinatown is comprised of diversity," said Vinuya. Vinuya says there are 300 Asian-owned businesses, not counting foot spas, on Spring Mountain Road from Valley View to Rainbow boulevards. A new plaza under construction will open 40 new businesses by the end of the year. "It's like Chinatown Plaza 2," said Vinuya. Golden Tiki owner Branden Powers says choosing Chinatown for his fun tiki-themed bar was one of the best decisions he's ever made. "I love Chinatown," said Powers. "Chinatown to me has some of the best food in this city, it's centrally located, and I think it has a lot of culture. I'm in love with this neighborhood." One of the most interesting businesses to open up recently is a luxury apartment complex, Lotus. It features around a dozen amenities aimed a younger crowd like a karaoke room, a virtual reality sports room, and a bark park. Apartments Lotus, near Spring Mountain and Valley View, will cost you between $1,200 and $2,500.